Chyncia Smith hadn’t touched a rock climbing wall since high school, but here she was, strapped into a harness and dangling 20 feet above the ground at Philadelphia Rock Gym in Wyncote, Pa.
Smith was doing her best to hang on to two particularly slippery handholds as she scaled a tricky spot — made trickier by the fact that some of the footholds were no bigger than wads of chewing gum. The scene played out at the second local meetup for Brothers for Climbing, an organization trying to diversify the rock climbing community by making it more inclusive and welcoming. 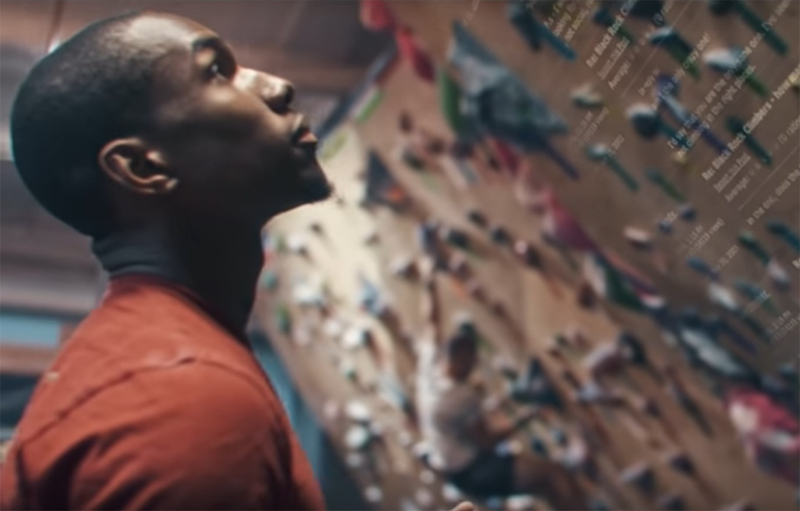 The Brooklyn-based group tapped Moore and fellow climber Jason Hinds to establish a Philly-area following. To make the activity more accessible, Brothers for Climbing participants can choose between climbing for free or signing up for a half-off package that includes classes on bouldering, top roping, and a two-week-long trial membership. The meetups take place every third Monday of each month at Philadelphia Rock Gyms, which have five locations in the area. At the second meetup, Moore and Hinds saw attendance triple, from five people to 15. Shawn Wilson, one of Hinds’ cousins, brought along his wife, Shannon, and their 8-month-old son, Shawn Jr. Hinds belayed him through his first attempt, talking Wilson through where to move his hands and feet. Moore convinced Smith, his co-worker at a private accounting firm in Malvern, to come along for the second meeting. Smith said that while she enjoyed her time on the wall, she would never pass by the rock climbing gym and think to go in by herself. Hinds — who got into the sport after watching a friend climb in Yosemite National Park — said that while many of his friends and family think that rock climbing is cool, they often need a push to get involved.